At Ambience we are obsessed with the Lauren Moshi Sasha Rastafarian Lion Tote! 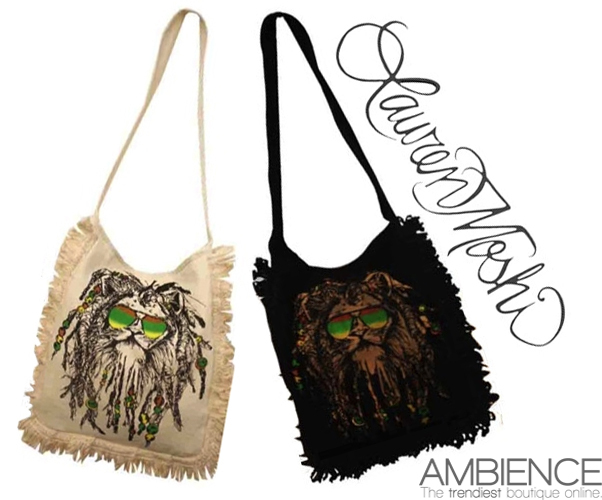 This super soft canvas tote bag screen print lion wearing on-trend aviator shades and dreadlocks. We love the finishing touch of fringe and of course the multiple pockets. This is the perfect bag to take with you everywhere and we love it paired with a casual maxi for the boho chic look but why not to the gym and beach as well. Make this your signature piece this season!